“Adieu and farewell” sounds better to me, so I wouldn´t call it a mistake. What you actually did was improve a song in the traditional way, because songs of this kind are supposed to keep evolving (until they´re dead). It does sound better doesn’t it! I regret that we didn’t adhere more closely to the book but some of the lines simply did not work in reality out on the water. I know why it bothers you (and it’s probably impossible for it not to), but the differences actually make it more interesting, and the performances feel more natural because of the removal of parroting (there’s nothing worse than a child chanting out the content of a script, and training usually makes them more and more artificial). Method acting appears to produce the most natural results, and that means the dialogue isn’t going to match up with the original text. What you really get in any film though is a true story of people making and acting in a film, and that isn’t something you should necessarily want to change. Any faults that you see in Swallows & Amazons are part of a true story, more real than the story in the book, and part of it is your story. That’s a beautiful thing to have. So don’t keep agonising over the faults you see in it which you feel responsible for, because there are no faults in the true story that the film really tells. What we see are people giving it a good go and doing extremely well. You really can’t ask for more than that. Hardly a true story. With dubbed voices, night for day shots, added sound effects, blue screen shots, added musical score, carefully chosen camera angles and use of different camera lenses, the film director can create magic. When the result is as good as Swallows & Amazons. we can enjoy the fruits of the technical wizardry and post production creativity involved. Most of what you see on the screen tells a true story of people acting out and living a story for the cameras, and it would take a lot of CGI and dubbing to eliminate that. Some day soon though it will be normal for films to be done with CGI actors which can be replaced by the viewer with the virtual actors of their choice, even giving them the option of putting themselves in the film. Indeed, it will be possible to replace actors in old films and to change the things they say and do in them. But would anyone want to do that with Swallows & Amozons to put right any faults that they think are in it? I would prefer it to be left as it is and have no wish to see any “corrected” version. The “faults” are truths and they are all part of its charm. 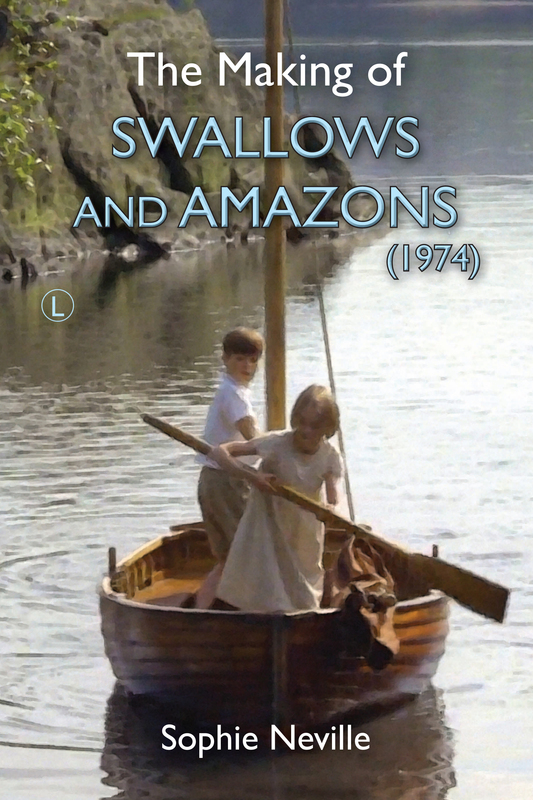 It is good to see the restored DVD includes shots from the film of ‘Swallows & Amazons’ that are edited out of the broadcast version, such as the sequence featuring the native on the Rio jetty. The credits run in full where-as they did not in earlier DVDs, which was a swizz – and broke code of practice. I’ve just watched the film on the new Blu-ray and the picture quality is really good, a big improvement from the old DVD. I liked the special features, shame Simon and Stephen weren’t interviewed. I noticed Suzanna is credited as Zanna. Thanks for the feedback – I’ll pass it on to StudioCanal. Suzanna couldn’t be credited as Suzanna Hamilton back in 1974 as there was already a Susannah Hamilton registered with British Equity, so she opted for Zanna, which is the name she used at the time. 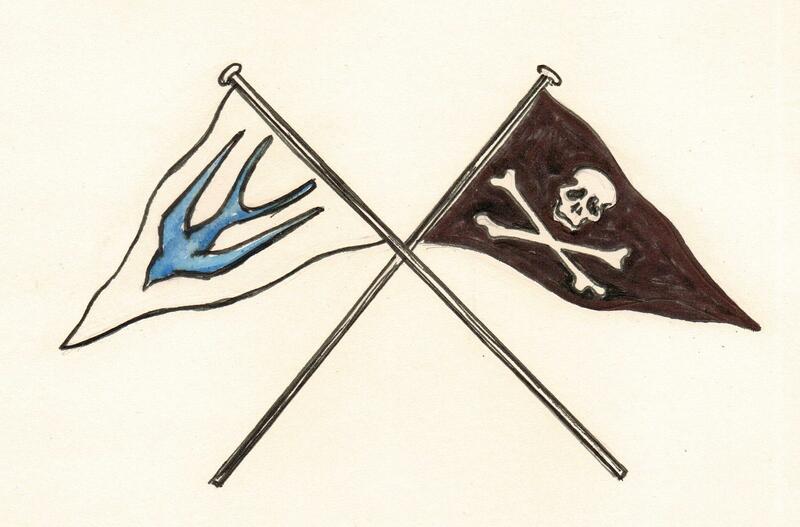 I detail this is ‘The Making of Swallows & Amazons’. Sadly the boys were too busy at work to come for an interview on the day the bonus material was recorded.